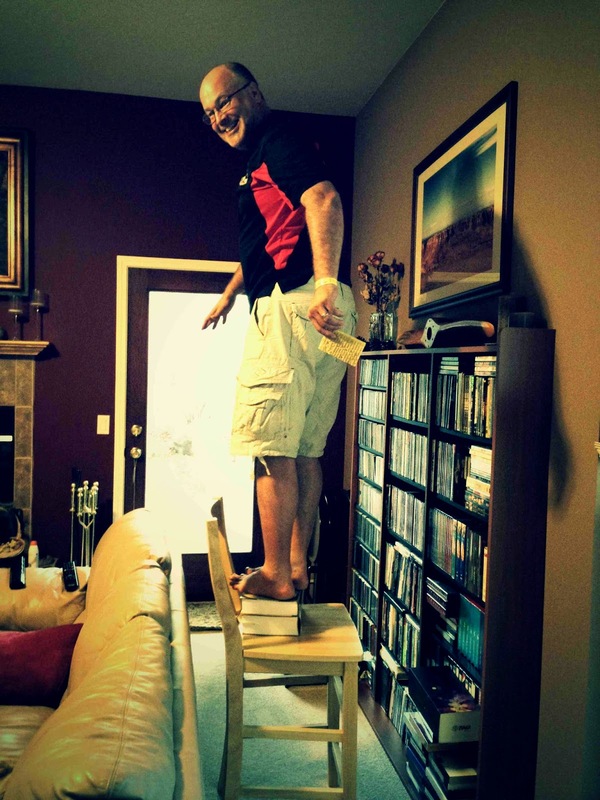 Mr. T balancing precariously on research handbooks in order to wipe smashed bug guts off the ceiling. Door stop. Foot rest. Bug smasher. Monitor stand. Ladder. It turns out us nerd types have a number of alternative uses for the overpriced research handbooks we were forced to procure in grad school. Here Mr. T demonstrates the double-handbook-stack technique for adding a little extra height.